The Arizona Wranglers were off to a slow start in the second United States Football League season as they hosted the Philadelphia Stars on April 8, 1984. Due to an exchange of franchises, the Wranglers were a transplanted version of the 1983 Chicago Blitz, bringing with them venerable Head Coach George Allen. In two meetings between the Blitz and Philadelphia in ‘83, one of them a playoff game, the Stars had pulled off dramatic second half rallies to ultimately win. The Stars, coached by Jim Mora, remained strong and had a 5-1 record. However, they were missing RB Kelvin Bryant, a key component of their ball control offense, due to a sprained knee. Still, QB Chuck Fusina (pictured above) was a dependable, if unspectacular, field general and the opportunistic defense was stingy and adept at creating opportunities through takeaways. Arizona was loaded with veteran talent but off to a sluggish 3-3 start. QB Greg Landry had plenty of savvy in his 16th pro season and he had a good target in second-year WR Trumaine Johnson. The running back combination of RB Tim Spencer and FB Kevin Long was a productive one. Characteristic of Allen-coached teams, the defense was strong and yielded ground grudgingly. There were 30,252 fans in attendance at Sun Devil Stadium. Arizona had the first possession and drove 73 yards in 12 plays that concluded with a one-yard touchdown run by Kevin Long. Frank Corral added the extra point. At the end of the opening period, the Wranglers extended their lead when Greg Landry threw to Trumaine Johnson for a 10-yard TD and Corral successfully converted to make it 14-0. In the second quarter, the Stars put together a long drive of 73 yards in 18 plays that resulted in FB David Riley’s run for a four-yard touchdown. 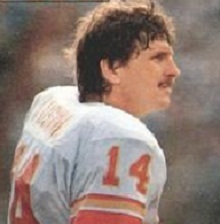 However, David Trout hooked the extra point attempt and the Wranglers maintained an eight-point lead. In the final minutes of the first half, Arizona had a long series of its own that advanced 84 yards in 15 plays. Tim Spencer ran two yards for a TD with 22 seconds remaining on the clock and, with Corral’s successful point after, the Wranglers took a 21-6 lead into halftime. Early in the third quarter, the Wranglers had an opportunity to add to their lead but Corral missed a 41-yard field goal attempt. Philadelphia got a further break, recovering a fumbled punt at the Arizona 46, and capitalized seven plays later when Chuck Fusina passed to Riley for a 30-yard touchdown. A running play to try for a two-point conversion failed and Arizona maintained a still-formidable 21-12 advantage. Another fumbled punt by the Wranglers, recovered by WR Herbert Harris, gave the Stars the ball at the Wranglers’ 15 early in the fourth quarter and, while they weren’t able to reach the end zone, David Trout booted a 27-yard field goal to further narrow the home team’s lead to 21-15. There was 3:31 remaining to play when, with the Wranglers attempting to drive to a game-clinching field goal, LB Sam Mills recovered yet another fumble by the Wranglers, this time due to a poor snap that Landry couldn’t handle, at the Philadelphia 35. The aroused Arizona defense initially rose to the occasion as Fusina was aggressively sacked by DE Karl Lorch for a five-yard loss on first down and then a short completion to WR Willie Collier led to the loss of another yard thanks to a quick tackle by CB Frank Minnifield. But facing third-and-16 at his own 29 Fusina, very near the line of scrimmage as he scrambled to avoid tacklers, threw into a crowd and Riley pulled it in for a 60-yard gain to the Arizona 11. With 1:40 left on the clock, Fusina then passed to Collier for an 11-yard touchdown and Trout’s successful kick put the visitors in the lead. The Stars sealed the 22-21 win on another Landry fumble that was recovered by NT Pete Kugler at the Philadelphia 47. Arizona led in total yards (314 to 206), first downs (22 to 14), and time of possession (31:32 to 28:28). 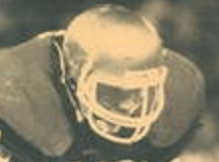 The Wranglers also recorded five sacks to one by Philadelphia. But the home team also turned the ball over five times, to just one suffered by the Stars. There were many penalties on both sides, with the Stars flagged 11 times at a cost of 62 yards and Arizona hit for 9 penalties for 35 yards. Chuck Fusina completed 15 of 29 passes for 178 yards and two touchdowns while giving up one interception. He also led the Stars in rushing, who without Bryant and against Arizona’s tough defense had an uncharacteristically mediocre day on the ground, with 27 yards on three attempts. David Riley (pictured at left) gained 19 rushing yards on five carries but had a big receiving day out of the backfield with four catches for 106 yards and a TD. Willie Collier also had four pass receptions, gaining 32 yards and scoring the winning touchdown. For the Wranglers, Greg Landry was an efficient 24 of 29 for 217 yards with a TD and an interception, but gave up two fumbles. Trumaine Johnson had 8 pass receptions for 68 yards and a score. Tim Spencer led the rushers with 55 yards on 17 carries and Kevin Long contributed 46 yards on 14 attempts. On defense, DT Kit Lathrop and Karl Lorch were credited with two sacks apiece. The Stars kept winning, topping the Atlantic Division with a league-best 16-2 record. They easily advanced to the USFL Championship game with victories over New Jersey and Birmingham in the first two playoff rounds. Arizona, having dropped to 3-4 with the loss to Philadelphia, finally turned things around during the second half of the season and finished second in the Pacific Division at 10-8. Qualifying for the postseason as a Wild Card, the Wranglers edged Houston in the first round and then defeated Los Angeles, the club that won the division, to reach the league title game and a rematch with the Stars. It was not nearly as close the second time, and no late heroics by Philadelphia were necessary, as the Stars dominated by a score of 23-3.